Frankenslot's Monster is a 5-reel, 20-payline 3D video slot by Betsoft with a humorous take on Mary Shelley's Frankenstein novel. Here, the mad doctor seems to be introducing the rudiments of slot gambling to his monstrous creation. Apparently, the creature is having a grand time, often dancing like a big oaf even as it remains strapped to a gurney. As reels turn, the not-so terrifying creature gets electrified whenever a spin result triggers the launch of the Bonus Games. The occurrence though would prove to be advantageous to slot players, as Dr. Frankenslot's Monster will create electrifying results that could lead to monstrous wins! This Betsoft 3D video slot has two Bonus Games. That being the case, two kinds of Scatter Symbols are in play to initiate the activation of the bonus reels. The Shock Treatment Bonus Scatter Symbol is represented by a BONUS icon that comes with an image of a Control Panel with a Lever. This particular Bonus Scatter Symbol appears only in Reels 1, 3, or 5. In the event that this bonus symbol is present in each of the three reels after a single spin, the Shock Treatment Bonus Reels will set off. The Free-Spins Scatter Symbol is the icon labeled as Scatter and with an image of a Lab Apparatus. Appearing only in Reels 2, 3, and 4, the Free-Spin Bonus Round requires the presence of at least one of such symbol in all three reels, as trigger mechanism. At some point during the betting game, Dr. Frankenslot's monster will need to recharge. Slot players who gain access to the Shock Treatment Bonus Game will take part in the procedure by adjusting the control panel and pulling the lever of the mini-bonus game. Once the lever is pulled and the creature's treatment process is complete, they will receive a randomly determined monetary reward. Frankenslot's Monster 3D slot info indicates that if by chance, a lucky bonus game player sets the right control-panel adjustment, he or she could receive a bonus reward equivalent to 25x the total bet staked on the spin that activated the bonus game. 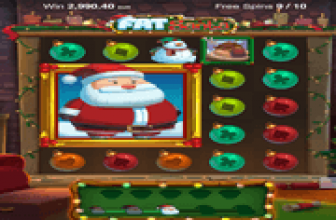 This free-games segment awards eight (8) bet-free spins. Betsoft's wacky version of Mary Shelley's Frankenstein novel suggests that the creature experiences malfunctioning. It usually occurs during the Free-Spins Bonus Game, as Frankenslot's Monster wants to create payline wins after each bonus spin. As the creature acts up, it sends out bolts of electricity to the slot screen. Virtual waves of electric current passes through the slot screen, whilst transforming regular icons in random locations across the reels, into Wild Symbols. 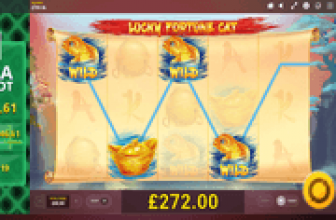 The occurrence therefore, optimises each spin since more Wild Symbols will be in place and available to use as alternative matching-symbol, to complete a winning payline combination. Frankenslot's Monster 3D Slot Wild Symbol is also capable of forming its own payline combination. Three (3), four (4) or five (5) Frankenslot's Monster Wild Symbols forming a matched -symbol grouping in any of the reel's paylines, have equivalent coin rewards of 200, 500, or 1,000, respectively. Frankenslot's Monster - Another Outstanding 3D Slot Creation from Betsoft! 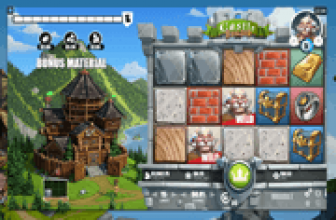 Frankenslot's Monster 3D Slot continues to demonstrate Betsoft's exceptional creativity and attention to details in using 3D graphics to deliver a rewarding online gambling recreation.